Lots of fun finds that I want to share with you. I love old fans. Yes, they are dangerous to little fingers, but I love the look. This one is a little smaller than I normally see. Found some great older glasses. 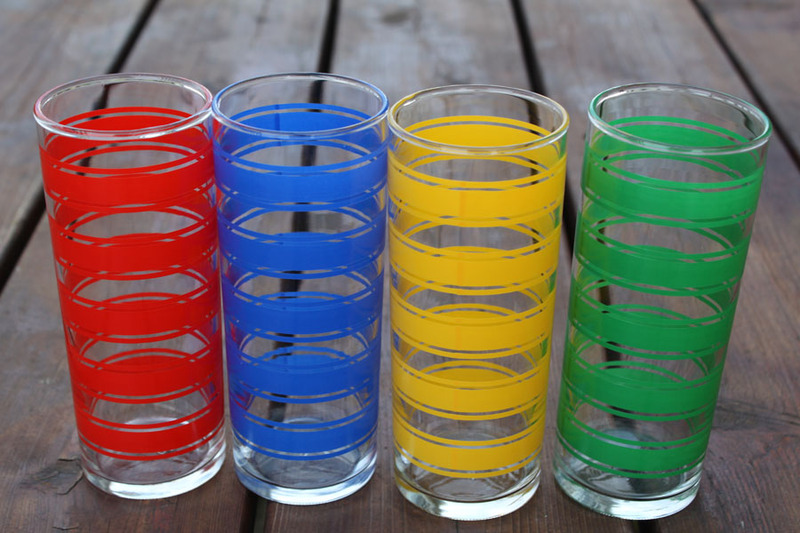 Love the bright stripes of these summer time glasses. 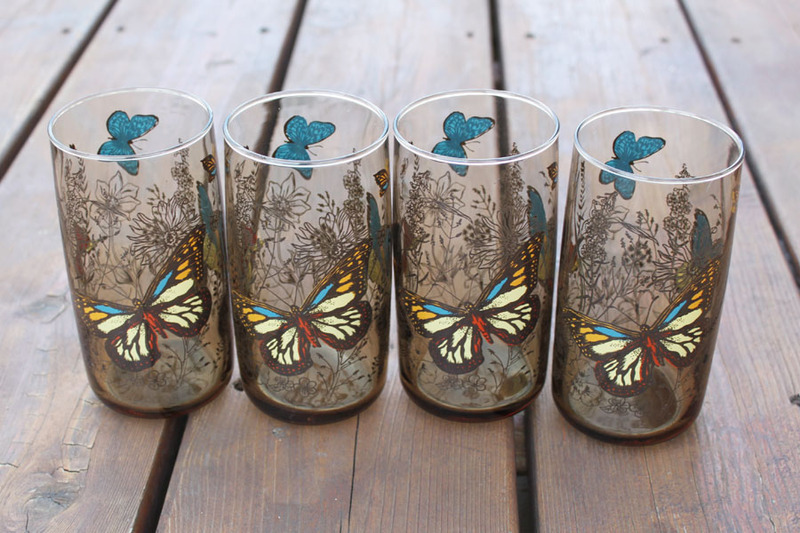 These brown glasses with butterflies could also be used on the deck this summer. 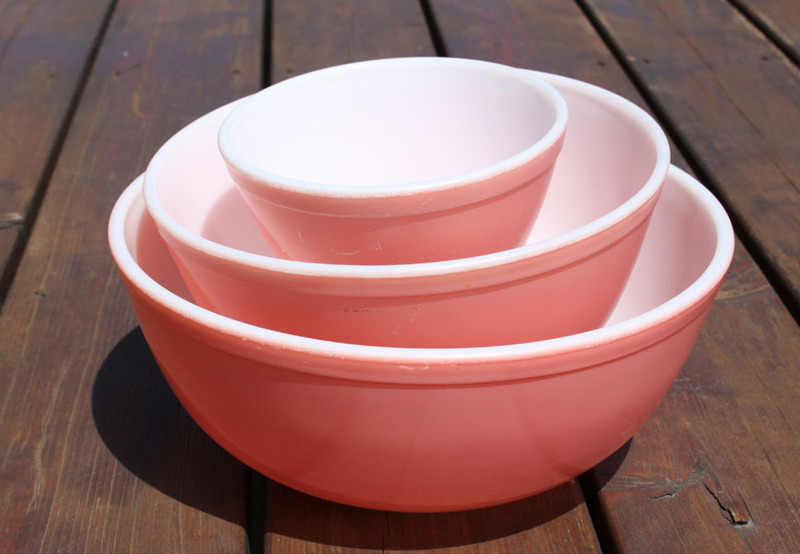 I found these pink Pyrex bowls. There is one missing, but they are pretty good shape. Pink bowls are always attractive. 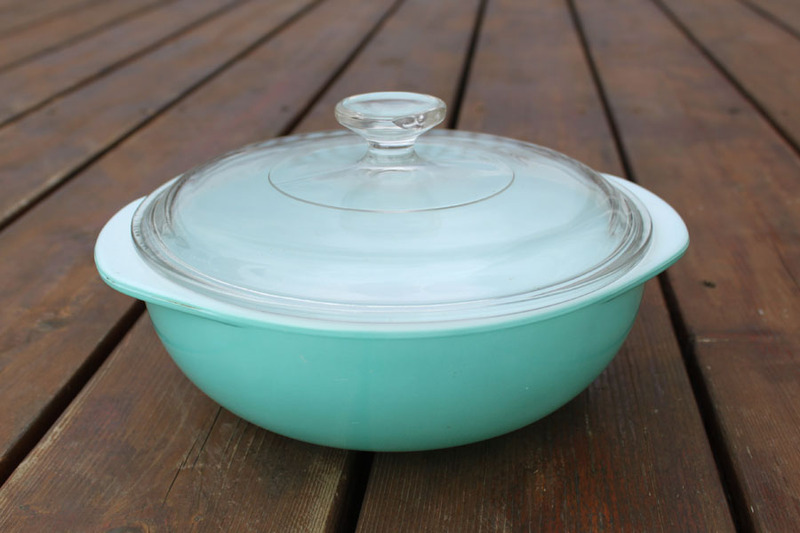 Combine it with this gorgeous blue Pyrex casserole. Today’s cookware and bowls just aren’t as pretty. 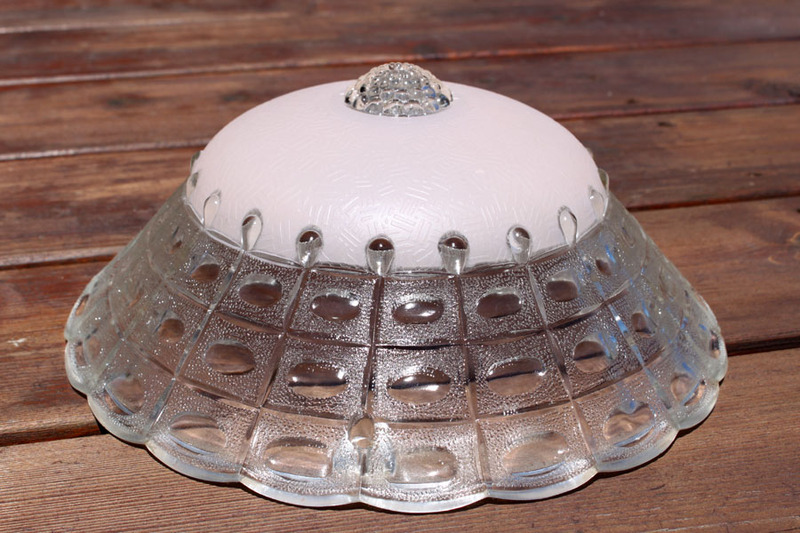 Finally I ran across a box of old light fixtures. Wouldn’t this one be beautiful in a baby boy’s room? Have to have one for a baby girl’s room too. 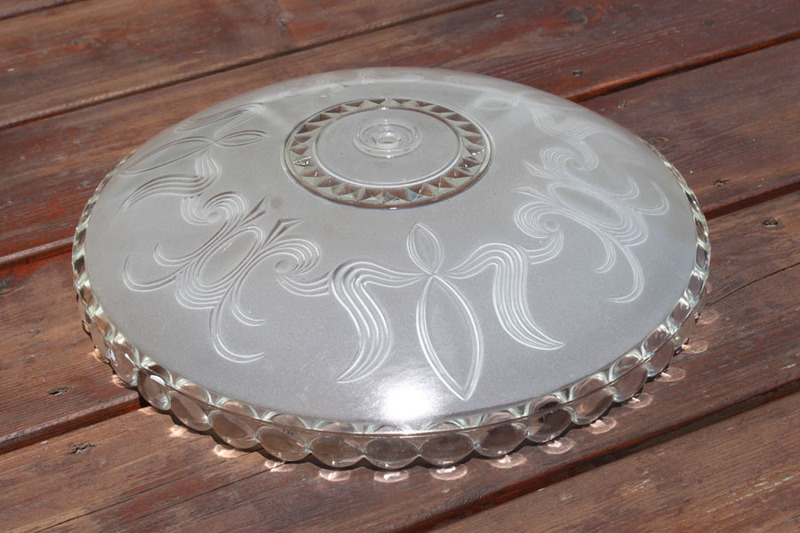 Now a days overhead lights aren’t usually put in a master bedroom, but I would put this on in a master. This one would be perfect for a den. It could go in a kitchen nook as well. So have you had any luck lately? Don’t forget to check out my Giveaway going on through July 5. Click Flea Market Magazine. 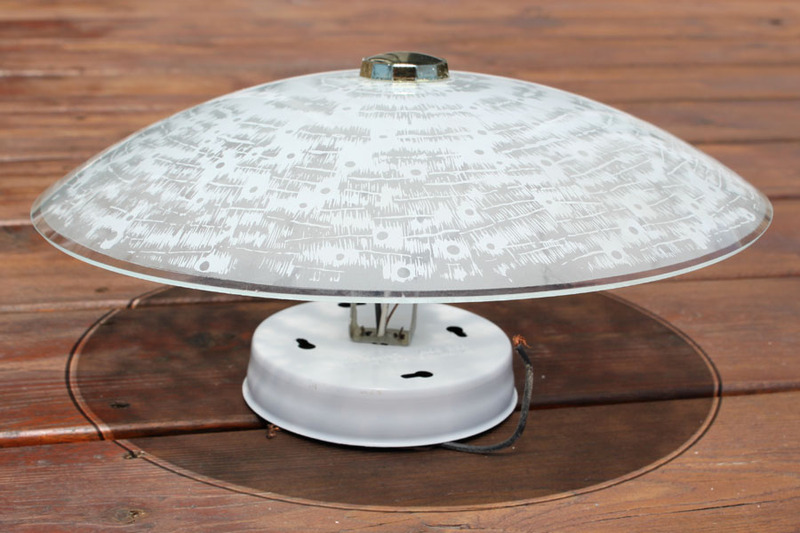 The old light fixtures are gorgeous and the little fan is great! *Sigh* pink Pyrex, I never see any in my area. Great items this week, but my heart is with the pink Pyrex. Keep looking, it is bound to show up. I’m in love with that pink Pyrex set, gorgeous. 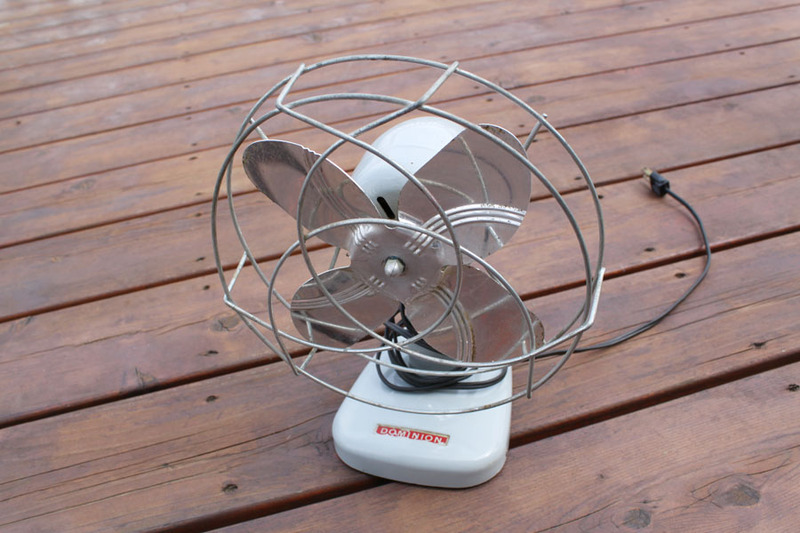 I love old fans too – never seem to find any though. I love them when on with pretty ribbons tied on blowing in the wind. The glasses are gorgeous too, but my favourites are definitely the blue and pink light shades. Love the idea of pretty ribbons on the fan. 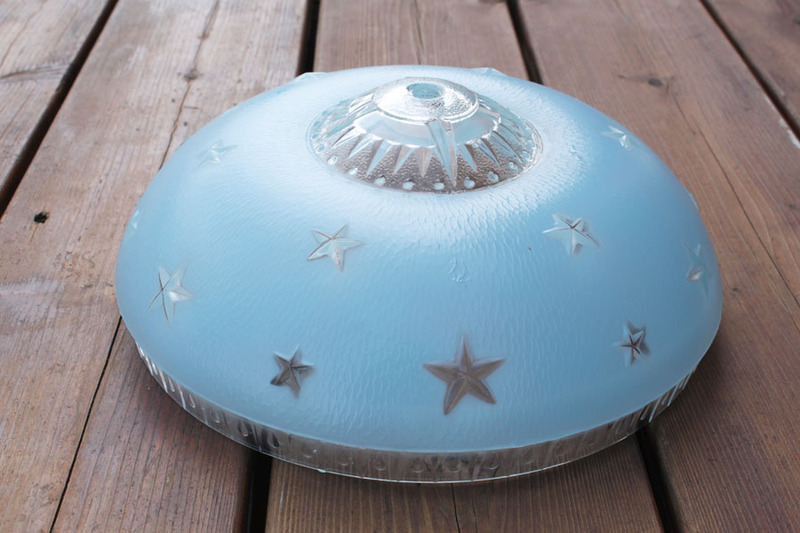 You were very lucky on your Pyrex finds – pink and turquoise are both hard to find, nice!! Thank you. I agree. Sunlight can make anything more beautiful. Wow! The Pyrex finds are WoNdErFuL!! I love the butterfly glasses too!